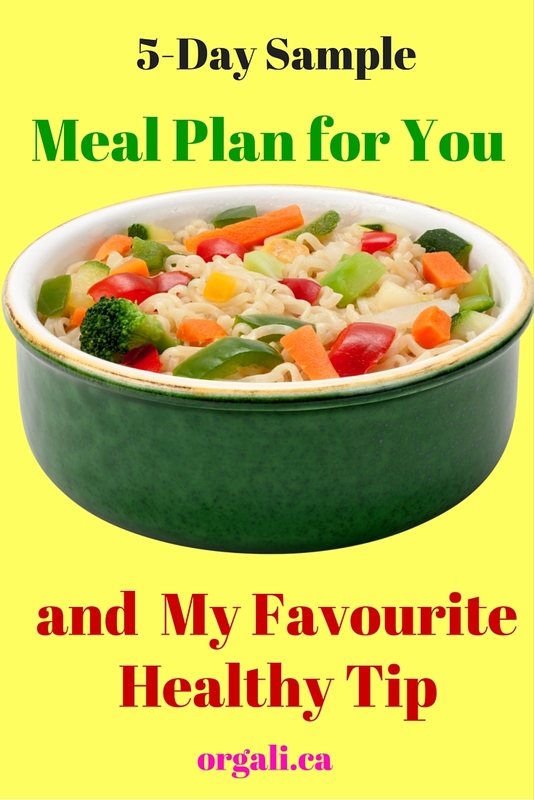 This is a meal plan that I recently used for my own family. The week I used it, I could not make all the planned meals and snacks (as life got in the way), but I was able to make most of them. This happens with most of my weekly meal plans as I prefer to overschedule meals and snacks than to not have ideas available. This 5-day meal plan is free of dairy, gluten, soy, and processed sugar. Each day includes breakfast, lunch, supper, and 2 snacks. If you missed my previous 2 posts on meal planning, here they are again. These posts can help you get started (and motivated) on your meal planning journey. I hope this meal plan will be useful for you and your family. If you don’t want to follow this particular plan to the letter, use it as guidance for your own. You might, for example, only plan suppers. And don’t forget to take restaurant and takeout nights into account. If one day your food preparation doesn’t go according to your plan, don’t worry. It is normal for these days to happen. This is why you should include a take-out or restaurant night in your plan. Or a sandwich lunch day ;-). Just pick up the plan the next day. Sometimes I too am not in the mood for cooking, so I pick up some food prepared at my local food store to eat for dinner. 1. Always include healthy fats, protein, and fiber each day in your diet. This will ensure that you and your family get the nutrition needed to stay happy and healthy. 2. Don’t start the day with a sugary breakfast. Choose proteins and healthy fats over simple carbohydrates (refined sugar). Which foods would you include in your meal plan from the ideas I shared with you above? P.S. Do you want a personalized meal plan for your family, based on your whole family’s food likes, dislikes, and dietary restrictions? Have a look at my meal planning offer. You might enjoy having someone else (me) make your meal plan this week. Why have I not thought about using coconut milk instead of cream in my favourite rose sauce? I substitute non dairy milk everywhere else?!? Thanks! I’ve got to meal plan more, breakfasts are particularly challenging.